Bottom Line: a nice looking speaker that has excellent power and range, coupled with a unique and well thought out design. Not the cheapest, but still decently priced. Definitely overkill for near-field listening, also will need a better receiver to sufficiently power them. 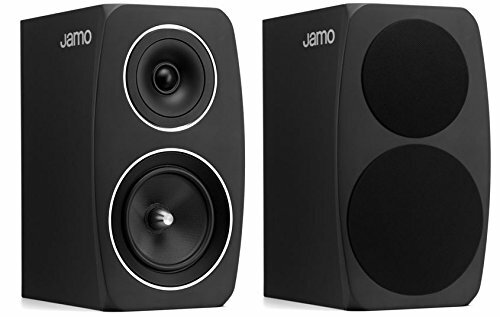 Jamo, phonetically pronounced “Yea-mo,” is a Danish speaker company that has been around since the 60s, but has since been bought out by Klipsch. They produce a wide variety of home theater speakers that all have a distinct style, much like their now parent company Klipsch does. The C93 reviewed herein is their entry level bookshelf speaker. 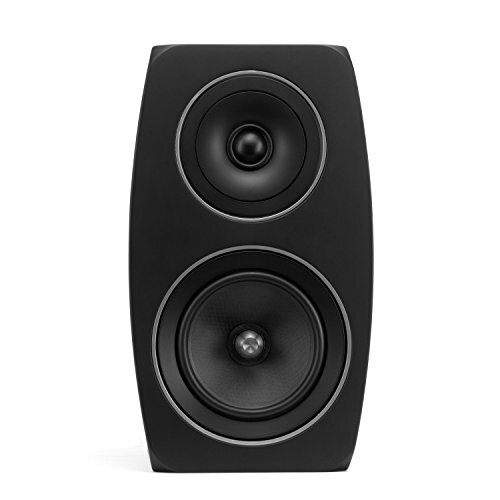 The general specs on the C93 are quite good for a two-way bookshelf speaker. 120 W of continuous power handling is multiples higher than what you’ll generally see with budget bookshelf speakers. When the continuous power handling is an unusually large percentage of the peak power handling, it usually means the speaker will have a lower impedance, meaning you’ll need a stronger receiver to sufficiently power it, something to be aware of. The response range is also excellent, in particular because they’re able to hit such a low floor of 45 Hz while staying within a 3 dB variance. Bass will always be limited with two-way bookshelf speakers because a single midwoofer can only do so much, but these could certainly suffice on their own without a subwoofer, which we don’t usually say about two-way bookshelf speakers. The tweeter is a standard 1 inch silk dome that’s embedded into its own smaller cone as part of their proprietary “decoupling” technology, which they claim reduces cabinet resonance. The higher than average response ceiling also implies a lower floor, which almost certainly helps the woofer get as low as it does. The woofer is also made of a proprietary wood fiber material per their “hard conical cone” technology (sound kind of redundant but whatever), and also has a metallic phase plug which serves to help the sound move forward and prevent some cone breakup. This is definitely a forward sounding design, kind of similar to the way Klipsch does it, which means you’ll want to aim these speakers to a centralized sweet spot for listening. The cabinet is pretty standard MDF that comes in black, white, or a mock-wood finish, with an elliptical baffle that presumably exists to help accommodate the larger embedded tweeter unit and driver. We’re not crazy about the chrome trim surrounding the drivers, but you could just snap on the included partial cone covers. All in all these speakers look very nice. They definitely run large and heavy for two-way bookshelf speakers, but the bottom surface area manages to stay relatively compact, part in thanks to the elliptical design. The port in the back is large, so these will need enough room in the back to breathe properly. Jamo passive speakers come with the same 5 year warranty that Klipsch offers, which is pretty top of the line coverage. Klipsch wouldn’t have bought this company out if they didn’t believe in their products, and the fact that Jamo has remained autonomous is a good sign. The power and range specs are excellent for a two-way bookshelf speaker, and the unique driver and cabinet design shows a lot of thought. They’re a bit expensive, especially compared to Klipsch speakers which usually bring the most power for the least money, but not exorbitantly so. One thing worth mentioning now as well as they’ve recently revamped these speakers, so the now legacy C93s might get a lot cheaper in the near future if vendors decide to clear out stock. Also not that you will not need nearly so much power if you’re looking for a near-field desktop speaker, nor the necessary components to support such a speaker. Check out the links below for some such alternatives.